To convert ACSM to PDF, you can use online converters, ACSM to PDF apps or software. You have to use Adobe Digital Editions to remove DRM since most ACSM files are Adobe DRM protected files. With the increased technological growth, it is simple to convert different file formats such as ACSM, DXF, PDF, Word, PPT among others, into different output formats such as PDF, EMF, DXF, EPS, ERF and many more. This article therefore explains how you can easily convert your ACSM to PDF as well as describing the best PDF editor on the Internet. Here we will show you how to achieve the conversion by using a software called Adobe Digital Editions in just a few steps. 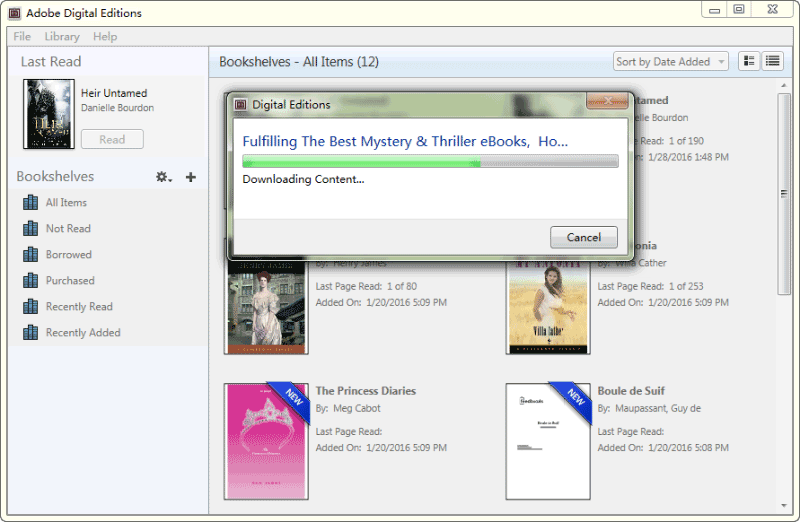 Click here to download the program of Adobe Digital Editions on your Windows computer. Then launch installed ADE, click "Help > Authorize Computer". A window below will pop up. Simply enter your Adobe ID and password, tap "Authorize" to authorize it. Don't have Adobe account? Just click "Create an Adobe ID" to create one. 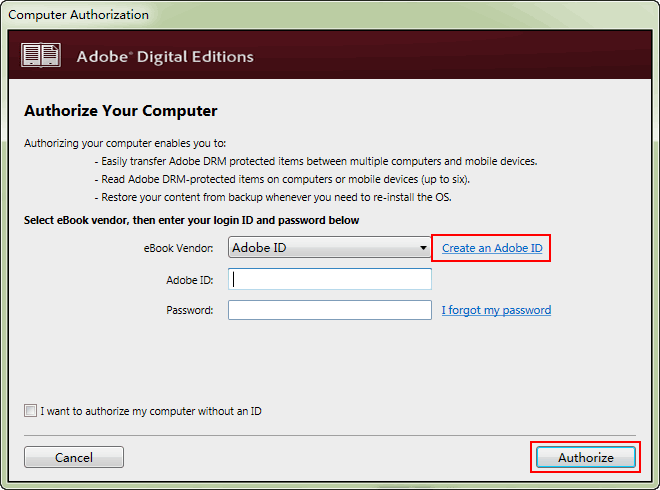 Open your ACSM file with Adobe Digital Editions. Once the file has been added to it, you will see a following download process. After it finish downloading, the file will be opened automatically. You will get complete PDF file in your computer. The best PDF editor on the internet is the PDFelement. This tool offers the solution to the conversion of files to all its users. It is packed with professional tools that allow users to edit, combine, transform, and organize PDF files without any limitations. The software has many features that make it unique to its users. First, it is a versatile PDF converter and creator. In this case, it allows you to transfer PDF file from or to various formats in batches with an incredible speed. The tool is a convenient form filler. It automatically highlights the fillable fields such that you are able to fill forms comfortable. It also allows users to create their own personalized forms with numerous options such as drop-down lists, text fields, digital signatures and many more. It allows you to extract specific PDF pages from the file to add new ones as per the needs. It has a password protection option whereby one can apply passwords to prevent unauthorized users from accessing the document. It has more editing options whereby users can split, or merge multiple files as well as adding or removing texts to the original document. 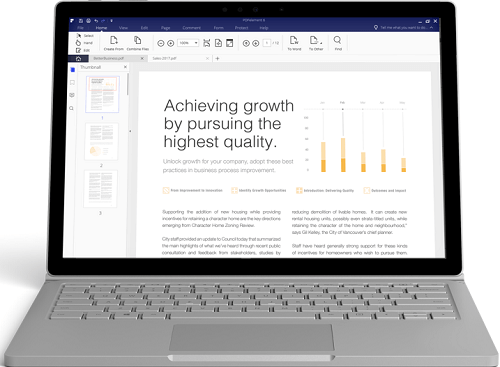 It has a replacement and insertion option where one can insert new pages into PDFs or replace old pages with other PDFs.